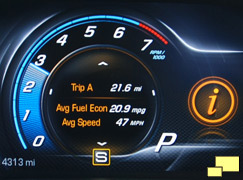 C7 Corvette Instruments, Video Display Screens, HUD, DIC, Instrument Cluster Display Configurations, Engine Hours and Engine crankshaft revolutions. 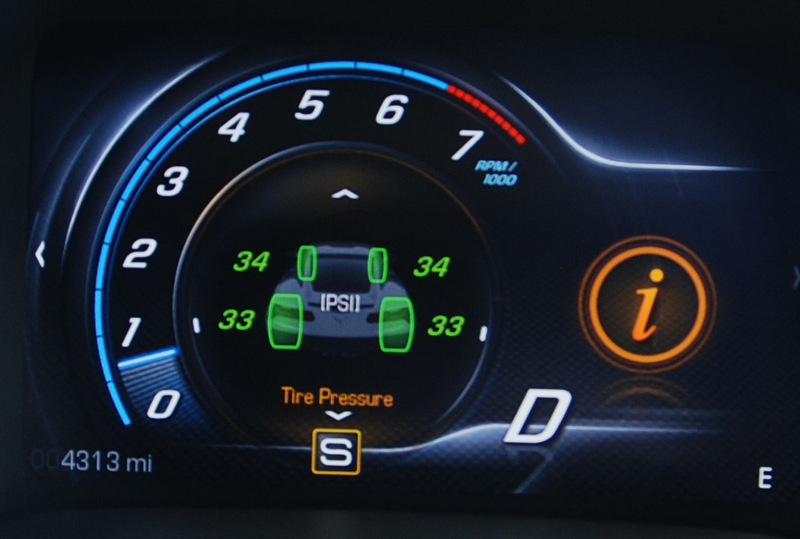 For 2014 the C7 Corvette gauge and information display was a giant step in technology, features and usability. Two eight inch screens are utilized, the right being touch sensitive for user input. 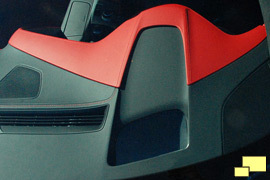 The two video display screens offered new levels of flexibility that the designers were quick to take advantage of. 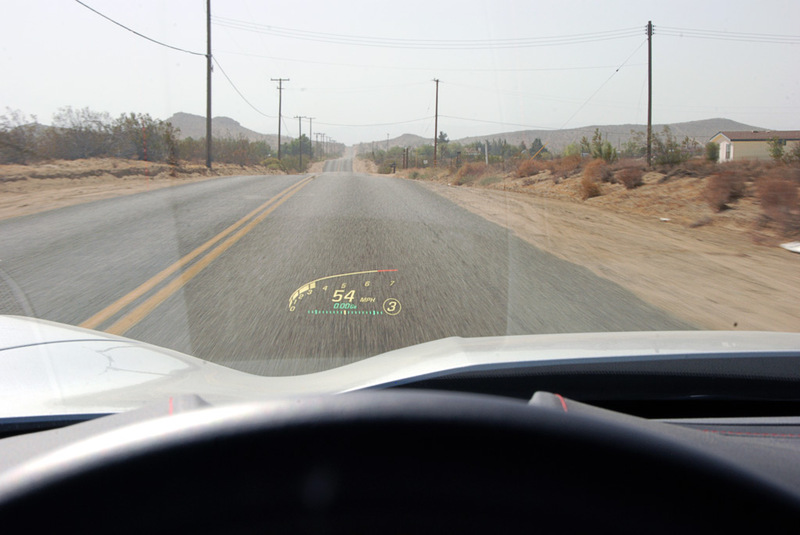 The heads up display, (HUD) first appeared in the 1999 Corvette and quickly became popular with owners. 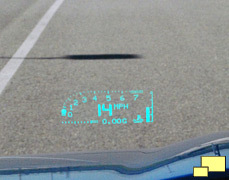 Left: HUD as found in 2009 Corvette. 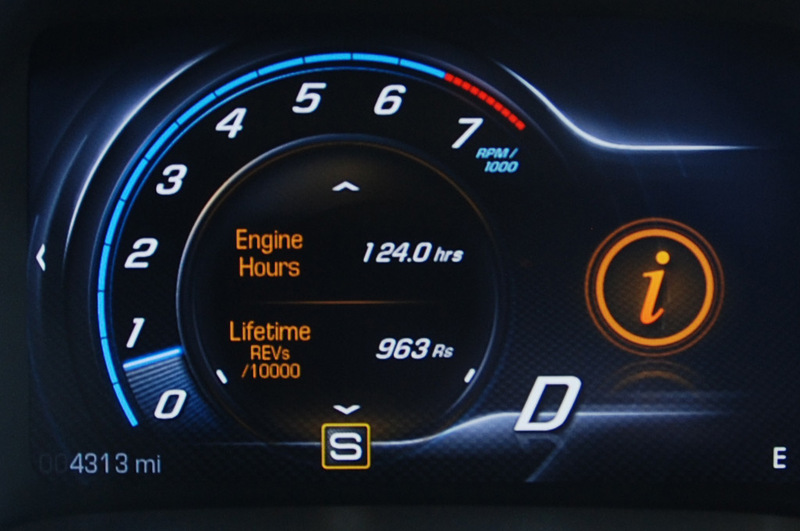 Middle: For the C7 it was upgraded to a color display with gauge graphics similar to the instrument display. 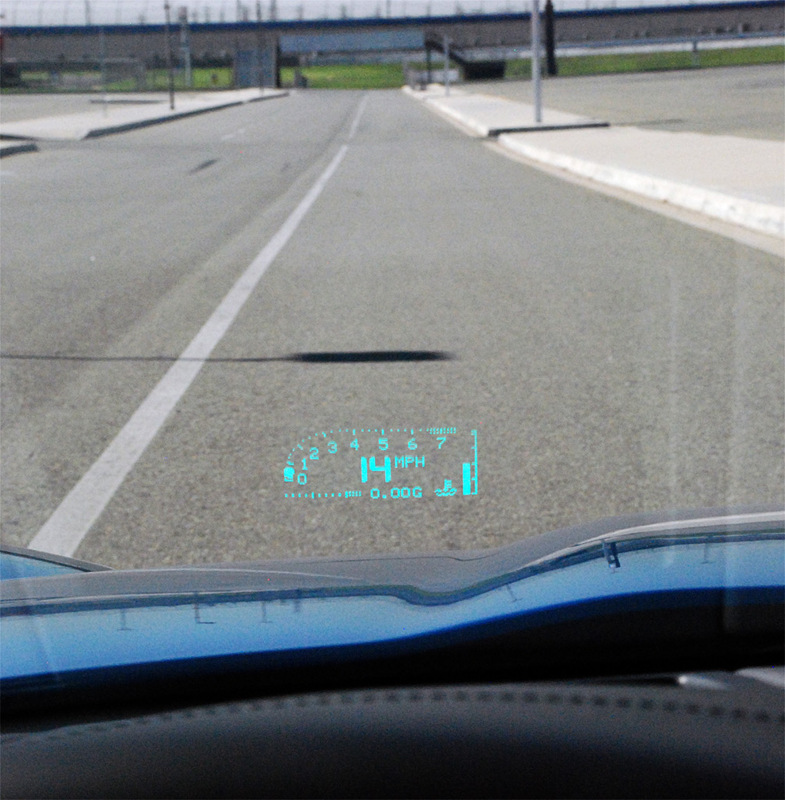 Right: 2014 Corvettes equipped with the HUD as it appears from the outside. For 2014 HUD is available as part of the 2LT and 3LT packages. 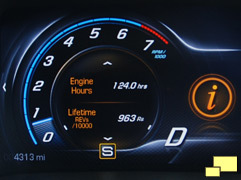 The display changes depending on the instrument mode selected. Also available on an as-needed basis is audio information, navigation turn information, incoming calls and vehicle alerts. 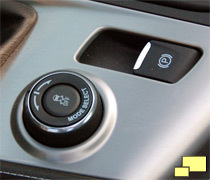 Located on the console below the shifter and within easy reach for the driver is the mode select switch. 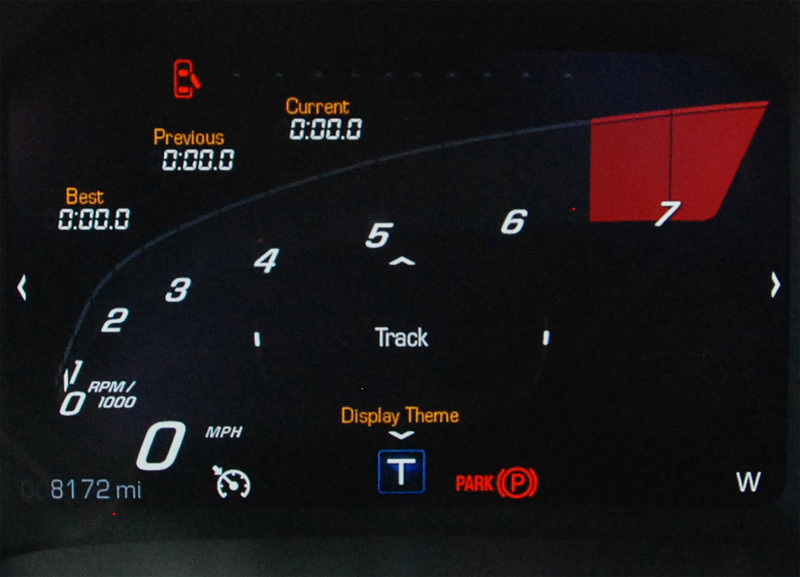 It offers five modes for different driving condition: Weather, Eco, Tour, Sport and Track. 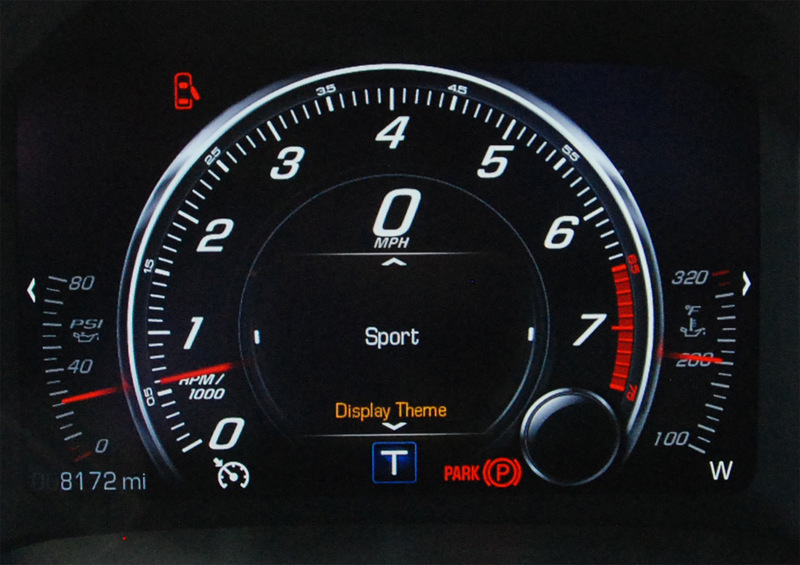 The modes will make adjustments regarding the cluster display, throttle progression, transmission shift mode, active fuel management, exhaust mode, steering, e-LSD, magnetic selective ride, launch and traction control. 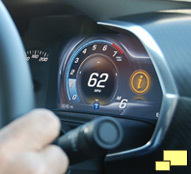 The eight inch drivers screen is flanked by a conventional analog speedometer on the left and analog fuel (top) and coolant temperature gauges on the right. Above is the Tour mode, which is the default. 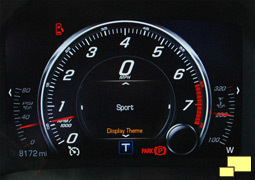 Below left is the sport mode setting, note the larger and more detailed tachometer. To the left of the tach is oil pressure and on the right is oil temperature although these can be differently configured for battery voltage, transmission fluid temperature or blank. 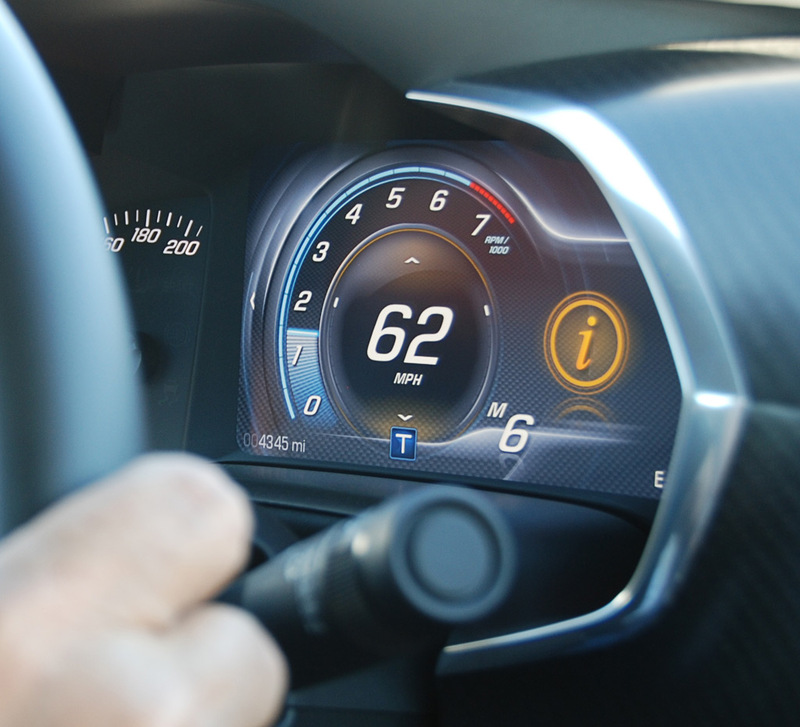 The chrome ring on the tachometer perimeter is a nice touch, reminiscent of the classic sports car days and so well done you almost have to remind yourself that you are using a computer display. 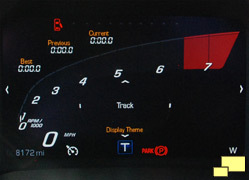 Below right is the track setting; notice the tachometer which gives priority to the 4,500 to 6,500 RPM range which is of prime importance to the track driver. There are also "Best", "Previous" and "Current" lap times for instant driver technique feedback. 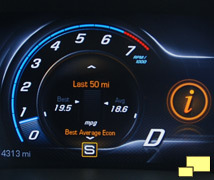 There are four instrument cluster display configurations to choose from: Tour, Sport, Track and Link to Drive with the style changing dependent on the selected theme. If Link to Drive is selected the cluster configuration will change to match the setting of the console mounted driver mode control. 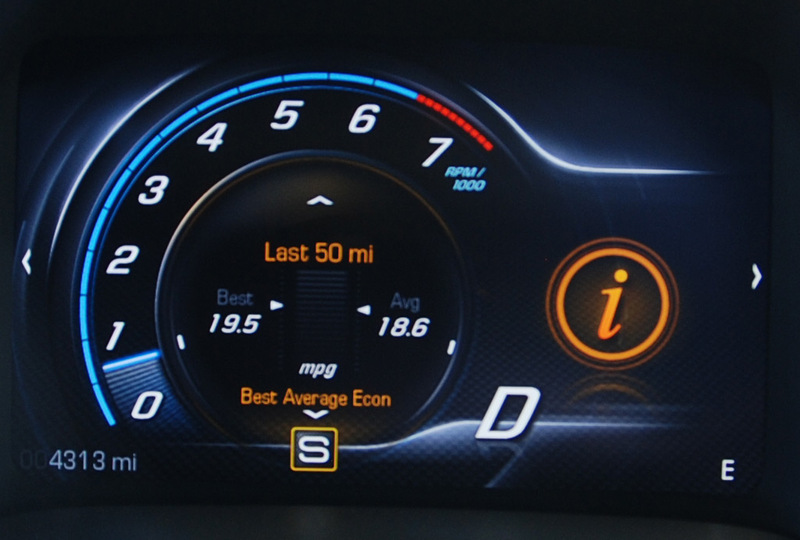 While it may seem complicated, getting the C7 instruments to do what you want is intuitive and easy to learn; are you listening BMW? The "Driver Information Center", with the odd acronym of "DIC" is located in the center of the tachomter and offers an amazing amount of information and statistics. 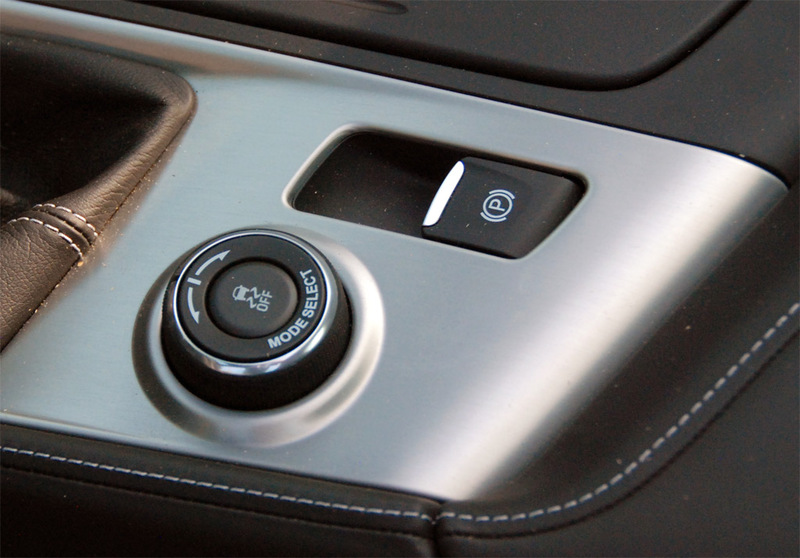 Control is via a switch cluster on the right side of the steering wheel. 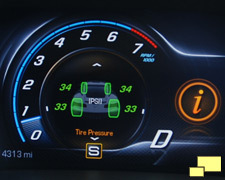 Available information includes the common items such as fuel economy (left and center) along with tire pressure data (right). As they say in the computer biz, "Too much information is still not enough". Right: The DIC has engine hours and crankshaft revolutions in increments of 10,000. Numbers geeks will love it. 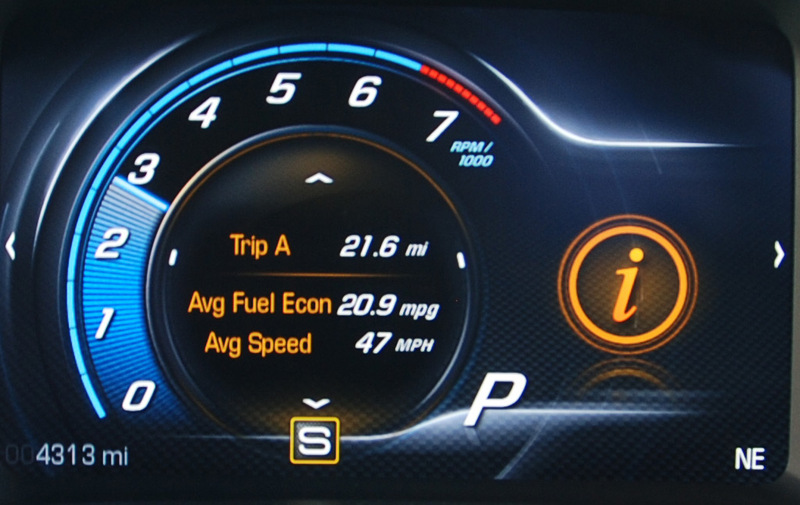 This particular C7 has 4,313 miles and 124.0 hours on the engine meaning that over it's lifetime it has been driven an average of 34.78 MPH. Having spun approximately 9,630,000 engine revolutions, it has averaged about 1,294 RPM - probably a lot of highway miles in seventh gear. 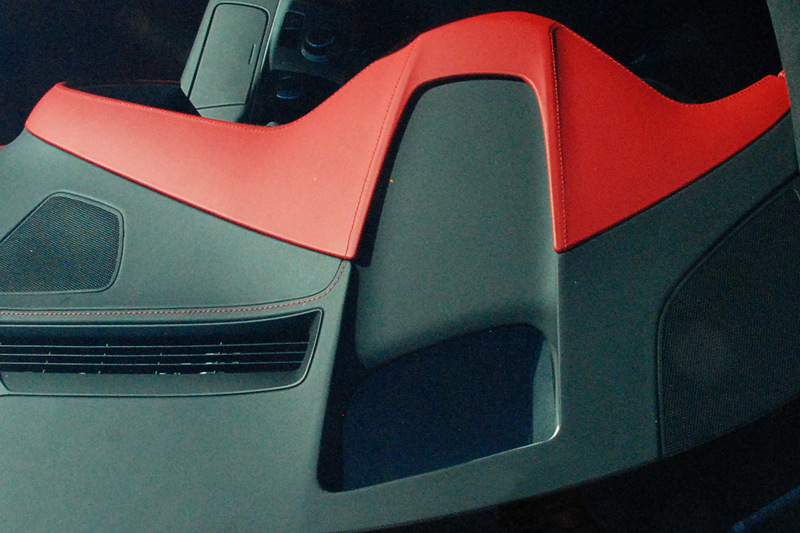 One can only imagine the bragging going on at the next Corvette meet. Although one might think of an accumulated engine revolutions counter as being available only recently, the 1953 thru 1957 Corvettes had the same capabilities with their mechanical tachometers. It was an odometer like function and was labeled "REV. THOUSANDS". Your web site is fantastic. May I connect with you on Google?? Amazing technology, gotta rob a bank on my way home, that would be the only way I could afford one! !